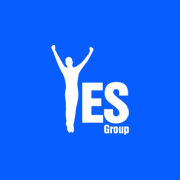 Please sign up below to register your interest in becoming a Yes Group Belgium sponsor by taking a monthly event sponsor table. The pricing of tables varies depending on how many months you book at one time. We are always happy to discuss your needs. By signing up here there is no obligation to take a table but it will allow us to keep you informed on table pricing, availability and other events that may be in synergy with your mission. Please complete the form below and we will be in touch very soon. We would also like to send you monthly updates on the details of the event so you can make your decision and book your table early to avoid missing out.